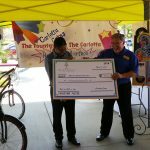 In celebration of National Foster Care Month, The Fountains at The Carlotta hosted a Rock and Roll-a-thon fundraising event to raise money for local children in foster care. 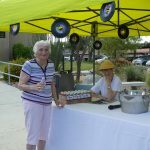 The event was hosted by Carlotta Cares, a philanthropic group of volunteers and residents of The Fountains at The Carlotta. 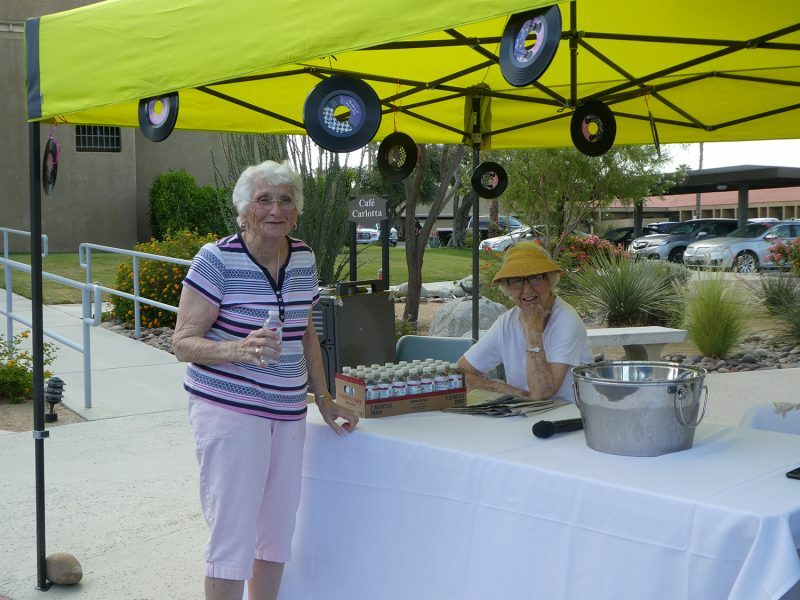 Residents, their families and associates of The Fountains rolled around the mile-long driveway at The Fountains by bike and wheelchair, while other volunteers handed out refreshments and cheered for participants. 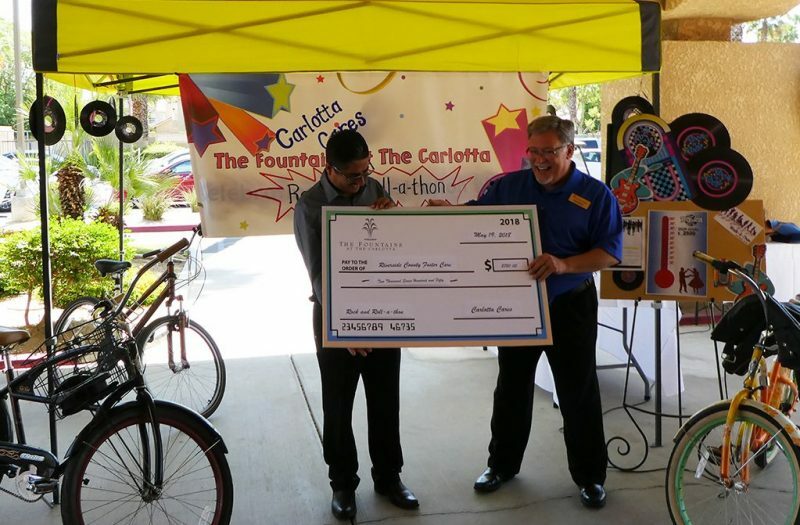 Carlotta Cares set out with a goal to raise $2,500 for the County of Riverside Foster Care Services, and with the community’s help, were thrilled to exceed that goal by raising $2,750.